With the latest and safest technology, we introduce to you painless and affordable laser hair removal. Our master technicians are here to make sure you never have to pick up a razor blade ever again. It’s true; we only provide the purest products for you. Flown here from the Himalayas, our earth-loving, natural facials will help you replenish, rejuvenate, and most importantly, relax. 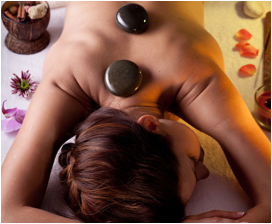 Tied together with a lavish massage, the experience is euphoric. Want perfectly shaped brows without the pain of waxing? Threading uses 100% cotton thread to make sure even the most sensitive skin is satisfied. With long lasting results, no wrinkles, and great outcomes, threading is the ancient method of hair removal that has been taking over the latest trends..
Henna is a plant which grows in the tropical climates of Africa, northern Australia, and southern Asia. Its leaves contain a pigment called lawsone which combines with proteins to cause staining. Because of this staining quality, Henna has been used throughout the ages to dye hair and create body art designs. You will be looking your absolute best, on this most important day of your life. Sit back, enjoy a mimosa and let us pamper you! Congratulations, It's Your Wedding Day! Come visit one of our many beautiful locations and give yourself a day of pampering and get Laser Hair Removal treatment. 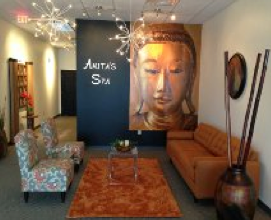 Receive only the highest quality services at our professional spas throughout Rochester, NY.